Our research shows trust is a pre-requisite for undertaking organisational change, strategic agility, performance and resilience. Our work with leaders on building trust (enabled by our Trust in Action 360 assessment) provides a practical pathway for building organisational trust. 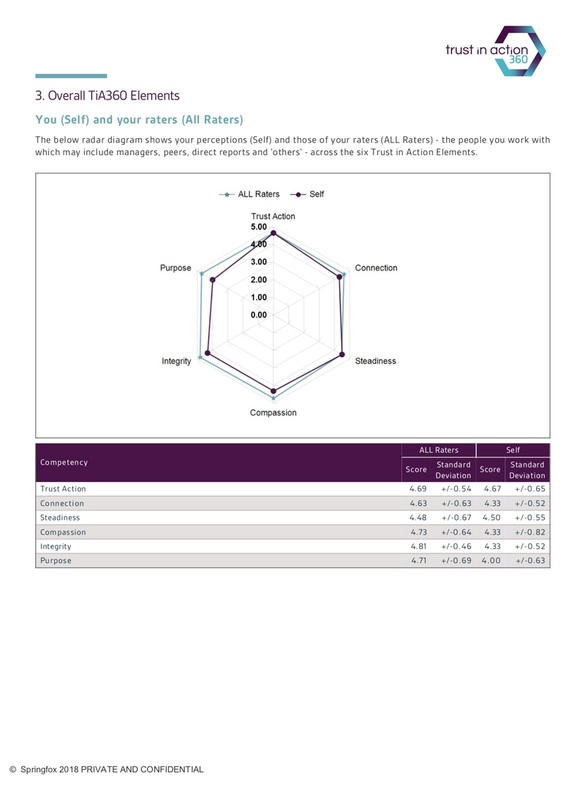 Your individual report is a detailed 360° exploration of the competencies from a ‘Self’ and ‘Rater’ perspective. It highlights key strengths, weaknesses and discrepancies and provides tips on how to build the competencies within each element. At the group/organisation level, the results provide insights on key strengths and opportunities within the group as a whole. The report will provide recommendations based on these results in combination with structural elements and your organisation’s situation, on how to implement real cultural change to support Trust in Action. Before and after testing over time allows you to target and measure the impact of interventions. We recommend 12 – 24 months between assessments. Our research shows trust and resilience are essential to enable positive professional and social achievement. The current reality for many organisations is a dispersed workforce, whether that be interstate or overseas. 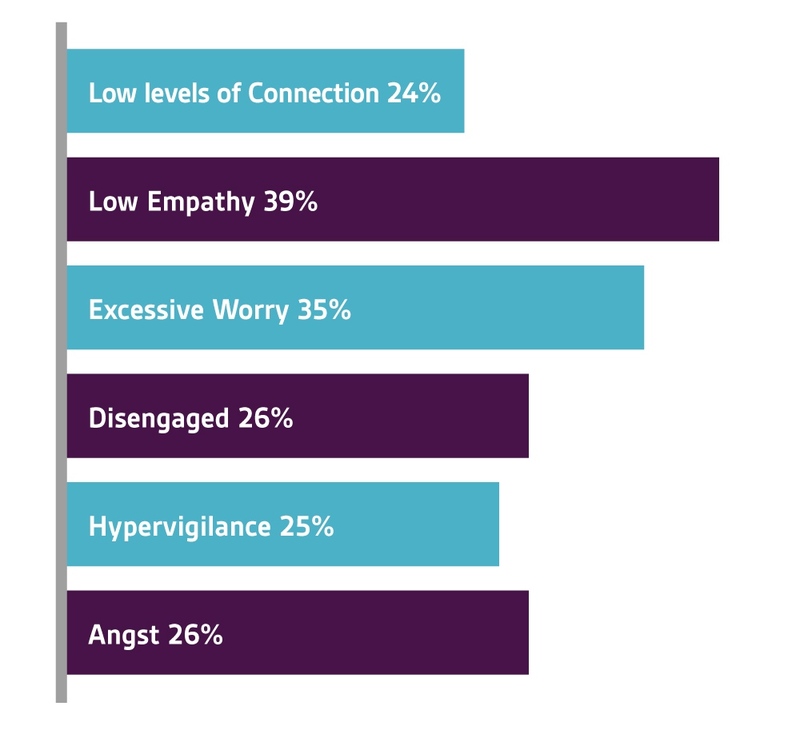 The impact of this is a reduced capacity for face to face interaction, which is critical in the establishment of group belonging, reducing uncertainty and enabling full information transfer. These are all critical in the development of trust. Our findings apply 20 years of research and experience to help you and your people transform performance. A high trust relationship between organisations and their internal and external stakeholders is crucial for navigating the challenges faced by organisations today. 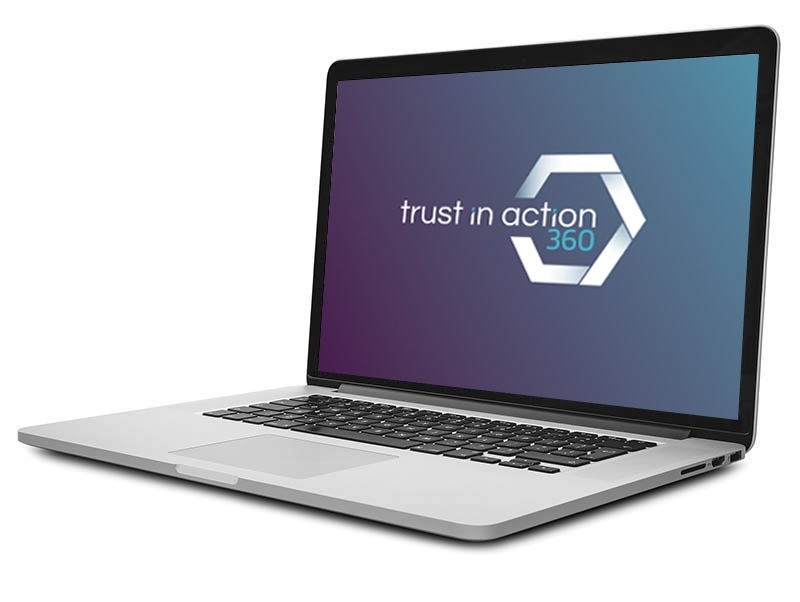 Trust in Action 360 assessment is delivered as part of our Leaders Labs. Participants gain an understanding of our Trust in Action 360 model before taking their self-assessment and inviting feedback from their raters. Reports are debriefed within Leaders Lab both form a group and individual perspective. Are you and your team ready for a change?